Most clients tell us we’ve ‘doubled the value’ of their residence. 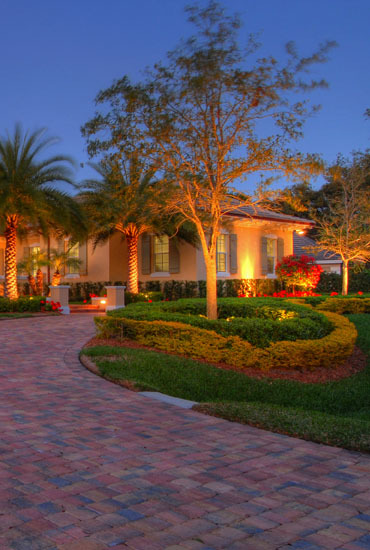 While we certainly agree landscape lighting increases the value of your home we were not quite sure what they meant until we asked…What we found is the homeowner now enjoys their residence as much by night as they do by day. In fact, many tell us they get so many compliments about their lighting scheme. From the simple to the complex we design, light and service each project with sophistication and professionalism. We are experts at lighting architectural and landscape assets. We stand behind each project and our reputation is, after all, your assurance of quality and longevity. Imagine the Possibilities.